++++ SALE PENDING ++++ LOCAL TRADE! 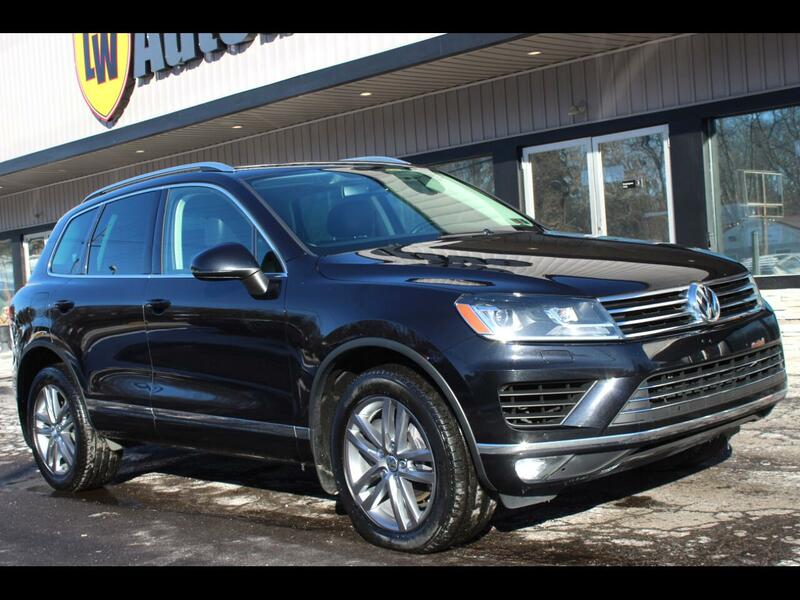 2015 VOLKSWAGEN TOUAREG LUX V6! BLACK ON BLACK! SHARP SUV! CLEAN CARFAX! RUNS AND DRIVES GREAT! ALL HIGHWAY MILES. HIGHLY OPTIONED WITH; NAVIGATION, BACKUP CAMERA, SIDE ASSIST, LEATHER INTERIOR, PUSH TO START, ALL POWER OPTIONS, DUAL CLIMATE ZONES, HEATED SEATS, PANO ROOF, KEYLESS ENTRY, ALLOY WHEELS AND MORE! PA INSPECTION AND EMISSIONS VALID THRU 4/19. AT OUR ASKING PRICE THIS VEHICLE WILL COME WITH A 1 YEAR UNLIMITED MILEAGE POWERTRAIN WARRANTY. THIS VEHICLE IS LOCATED AT 9234 PERRY HIGHWAY PITTSBURGH 15237. PLEASE CALL 412-366-7400 FOR MORE INFO OR TO SCHEDULE A APPOINTMENT TO SEE THIS VEHICLE, THANKS FOR LOOKING!